Squalane + Probiotic Gel Moisturizer: This gel moisturizer is lightweight and full of moisture – my skin just takes it all in. I still feel moisturized (but not oily!) by the end of the day. 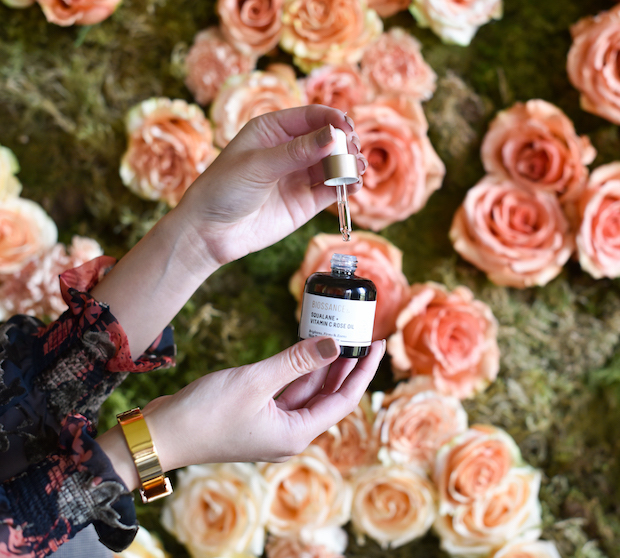 Squalane + Vitamin C Rose Oil: I typically shy away from products with a strong Rose scent, but I love that Biossance products are synthetic fragrance-free – there are no strong scents here! You may have seen on my Instagram, but I was appalled to find out that the US, for the most part, doesn’t regulate skincare and beauty. In fact, the FDA has only banned 11 ingredients that are used in skincare and beauty. 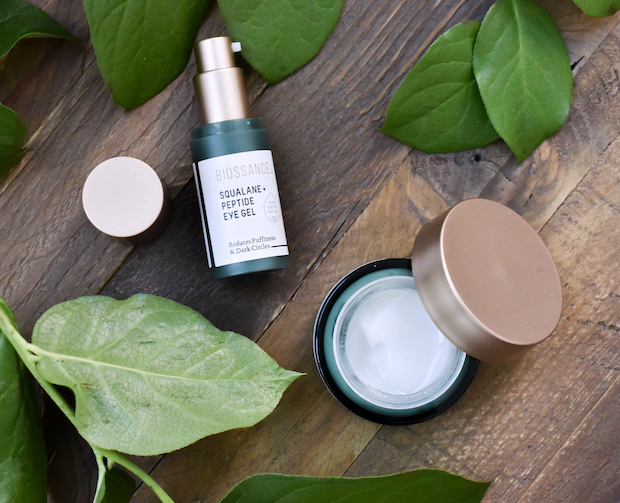 The European Union has banned 1,326 ingredients, whereas Biossance has banned over 2,000 ingredients that are potentially harmful to us or the planet. High standards should be the norm when it comes to what we put on our face and bodies in my opinion – I can’t believe they’re not! And even if I’m late to the game, I’m so thankful to have learned so much on this trip. 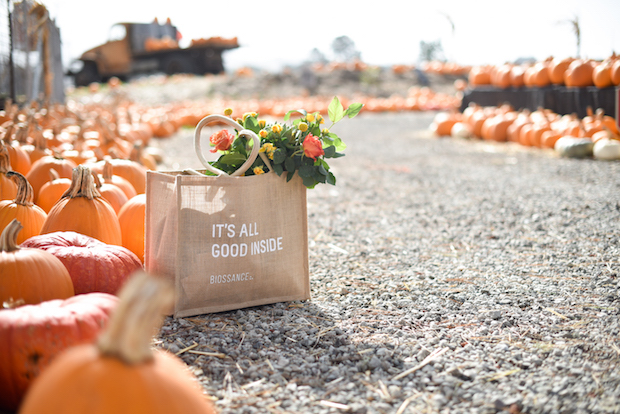 Thank you Biossance for an incredible eye-opening experience and for the friendship! I am so excited for your next few product launches (top secret but trust me it’s GOOD!)! Just such a wonderful photos! Oh, it is wonderful there and I adore your look, too! This is amazing! I totally agree that we should only be putting the BEST ingredients on our faces! http://trendkeeper.me — last minute costume tips! I have yet to try this skincare line! It sure sounds amazing! I also love your floral dress. So gorgeous! A good skincare routine is always essential to our daily beauty life. Very beautiful photos … love ❤️ the fabulous background! Wow these photos are so dreamy! I just can’t believe there isn’t more regulation on these products. Loved your stories and this post and thank you for educating us! Your trip looks so incredible! And I LOVE your outfit! It sounds like an amazing brand and I would love to try it out! Such beautiful photos! The product sounds great too. Beautiful photos, love your blazer!